Champions rarely-used words that Collins excised or threatened to remove from its standard English Dictionary to make room for “new stuff” like “twitter”, “google” & “facebook”. Adds them to the Collins School Dictionary (which was too abbreviated to have contained these words in the first place). 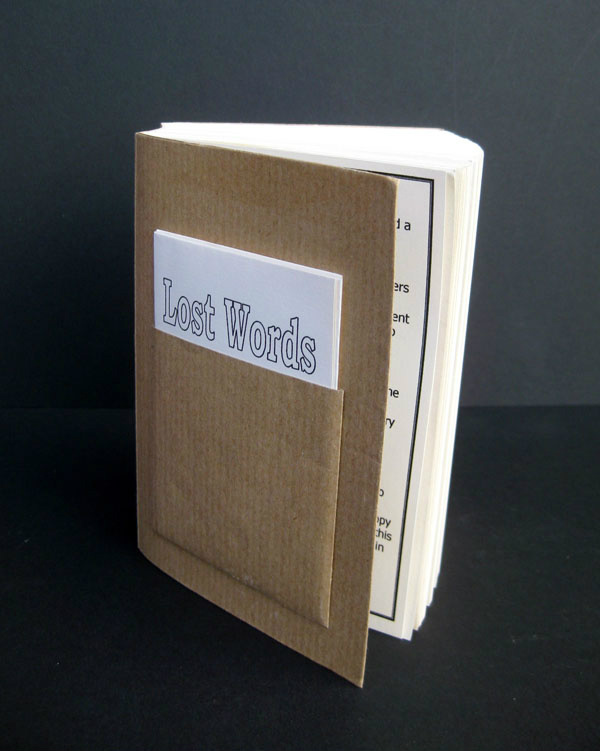 Brown paper cover, recalling how children used to be told to protect their school books. Digitally printed pages on Five Seasons re-cycled 110gsm paper "tipped in" to bought school dictionaries.